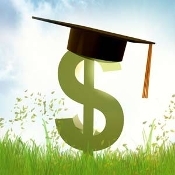 Houghs Neck Community Council Scholarship Fund The Scholarship committee was established to assist high school seniors and college students further their education with a Book Award. Since 1964 the fund has presented over $173,470.00 The scholarships are awarded strictly on grade point average. Most of the funds raised are through memorial donations. We list these donations in the Houghs Neck Bulletin. Other types of donations include birthday announcements and congratulations to a retiree, graduate or any reason you may wish to invest on our children?s future.